When I saw these succulent Porterhouse pork chops at the butcher shop, I knew they were coming home with me. Porterhouse pork chops are the Cadillac of chops. Divided by a “T” bone, these chops combine some of the best cuts of the tenderloin and the loin surrounded by a generous and beautiful ribbon of pork fat and their double thickness these chops are as luscious and succulent almost like having almost a steak. 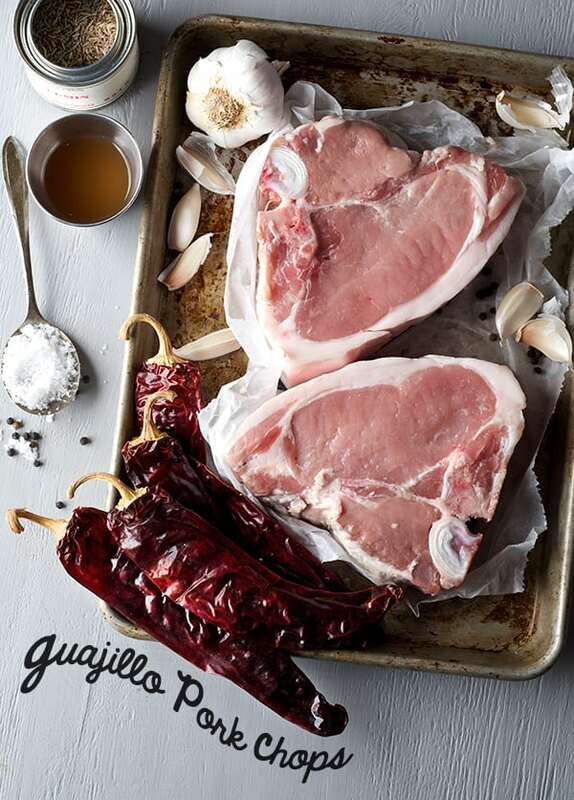 Thinking of how to prepare them, I could almost hear them whispering “Guajillo and garlic” to me, so there Guajillo Pork Chops for diner it was. fresh chiles can brighten up and give a spicy-sass flavor to any dish along with a bright loud note. Dry chiles add a pleasant intense depth of flavor from smokey-sweet, to spicy and fruity, floral and fruity notes with a pleasant hint of spice. Dry chiles are a must have in your pantry. Dry Guajillos are the perfect example I just described. Guajillos, when slightly toasted, fried or hydrated, bloom with the most aromatic, intense color and mild fruity heat flavor. This effect is irresistible and best used with pork because the meat’s flavor still shines through. “Feelings…. nothing more than Fillings”… Hello friends, we’re back.We have been on a roller coaster; from a vacation in Mexico, to Slow Wine Festival, meeting new people, giving cooking classes, Ian giving lots of photography classes…we have been busy, but you have always been on our minds. Visiting my Mexico after more than eight years was reinvigorating. Being back in my birth country was very fulfilling and I felt my roots strongly. We were welcomed at the airport with a big familiar smile and , thankfully, we did not have to get in the long customs line. During the visit we could eat and breathe the delicious in-season ingredients that Baja produces; from papayas, to avocados, chiles, lettuce, pineapples, limes, guanabanas, tomatoes, chard, radishes, you name it!. I just felt like a fish back in the water, especially walking along the pristine coastline. Now I’m melancholic… its hard to forget the people, the laughs, the air and the sea… and the food. 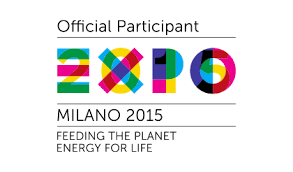 From freshness, flavor, aroma, ingredients, preparations, sazones… can you imagine? Good thing we just visited one little town…Phew! I have harnessed the melancholy and channeled it into a love letter to every Vegan and Vegetarian who has felt neglected by the Taco Love. 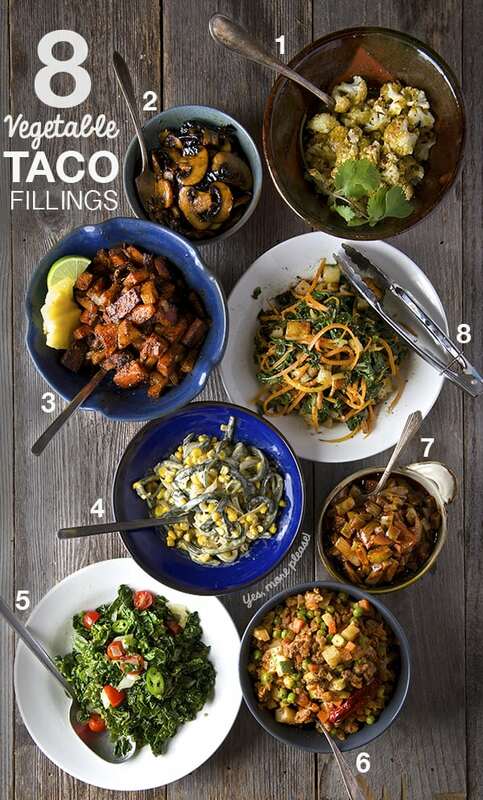 Yes baby, not one, not two, but EIGHT vegetable fillings that will add vitamin “V” (vegetable) on any Taco night! Food is everything we are. It’s an extension of nationalist feeling, ethnic feeling, your personal history, your province, your region, your tribe, your grandma. It’s inseparable from those from the get-go. Thank you for subscribing, and Welcome to our cooking blog! Let's cook!